While enjoying a wholesome meal together is surely a worthy goal, family meal campaigners don't always acknowledge the work that goes into this achievement: the time demands, parenting challenges and financial burdens required to put good food on the table. These pressures exist daily, but for many of us-particularly women-- they come to a head during holidays. By Merin Oleschuk Merin Oleschuk is a PhD Candidate in Sociology at the University of Toronto studying home cooking and family health. Kate Cairns Assistant Professor of Childhood Studies at Rutgers University-Camden, and coauthor of Food and Femininity (Bloomsbury 2015). Josée Johnston Associate Professor and food studies scholar at the University of Toronto, Department of Sociology. It's a predictable scenario: December is ticking away and in addition to shopping for gifts and attending work parties and kids' concerts, there's cooking to be done. A lot of cooking. This cooking should be delicious, but it should also consider the preferences and restrictions of various family members. Your son is exploring veganism. Aunt Kathy isn't eating carbs. Some of your holiday treats should be healthy, and some should be gluten-free, but you need a few decadent ones to impress your foodie friends. All of this foodwork is exhausting, but you're sure it will pay off when dinner arrives on the table. While the family meal is culturally revered, it is prepared in real-life scenarios that include irregular work schedules, busy routines and missing ingredients. The family meal is imbued with a sort of magic. It's a treasured time when we slow down and connect over "real food" and family meals during the holidays are particularly high-stakes. On these occasions, we shun processed foods and take-out, connect to our culinary traditions, and instill in our children the importance of eating together. But wow, is that ever a lot of pressure. In reality, our dining tables rarely resemble the mouth-watering images filling magazines, food blogs and television cooking specials. Still, many of us think they should. In the midst of growing concern over obesity, food and public health advocates have called for a return to home cooking, lamenting families that spend hours watching others cook on television, yet who can barely pull together a meal themselves. While enjoying a wholesome meal together is surely a worthy goal, family meal campaigners don't always acknowledge the work that goes into this achievement: the time demands, parenting challenges and financial burdens required to put good food on the table. These pressures exist daily, but for many of us-particularly women-- they come to a head during holidays. Research on family meals suggests that the dinner table is often an inequitable place. We may see men cooking elaborate dishes on TV, but in North America, women still do about twice as much foodwork as men. While the family meal is culturally revered, it is prepared in real-life scenarios that include irregular work schedules, busy routines and missing ingredients. Our research finds that many mothers worry deeply about the healthfulness of their family's diet, but struggle to balance these concerns with what their children will actually eat and what they can afford. These worries are all the more acute in low-income households where the costs of uneaten foods make culinary experiments a risky gamble. This is not a problem restricted to a small percentage of the population. About eight per cent of Canadian households are food insecure and 23 per cent of single-parent families struggle with food insecurity. The holiday season generates mythical images of culinary abundance that are seldom matched in reality, and these myths leave many feeling stressed and inadequate. Given these pressures, why does the dream of the family meal persist? In our own research, many women told us that cooking can be immensely pleasurable and rewarding, and these rewards remain deeply connected to cultural understandings of femininity. Yet gendered cooking ideals present a double-edged sword, generating frustration and guilt when meals don't measure up. We know what you're thinking: these researchers are out to ruin my December eating. But bringing a critical eye to holiday meals needn't take the joy out of good food. Homemade meals can be deeply pleasurable, but they shouldn't serve as the basis of a woman's self-worth, especially when that woman is left alone to do the majority of the work herself. And we must remember that while some families enjoy a spread of French cheeses and charcuterie, others rely on food banks to fill out their holiday table. 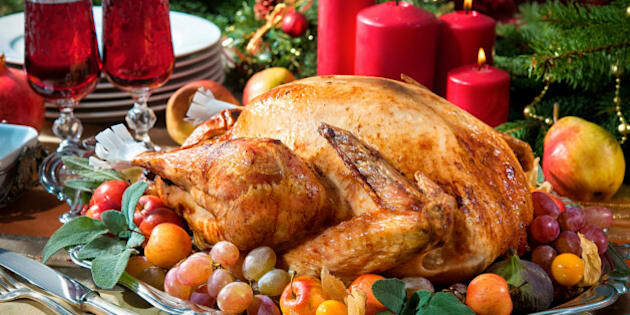 The holiday season generates mythical images of culinary abundance that are seldom matched in reality, and these myths leave many feeling stressed and inadequate. Combating that reality requires more than a fail-safe cookie recipe. At minimum, it requires two things: 1) men who step up and take responsibility for cooking, holiday and otherwise, and 2) a social safety net that allows everyone to craft their holiday table with dignity. Merin Oleschuk is a PhD Candidate in Sociology at the University of Toronto studying home cooking and family health. Kate Cairns is an Assistant Professor of Childhood Studies at Rutgers University, and co-author of Food and Femininity (Bloomsbury 2015). Josée Johnston is an Associate Professor of Sociology at the University of Toronto Mississauga, and a co-author of "Foodies" (Routledge 2015) and "Food and Femininity" (Bloomsbury 2015).